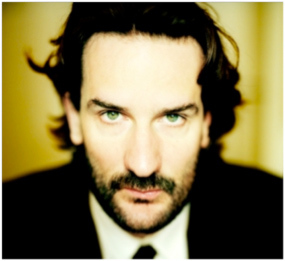 Adriana Karembeu and Frédéric Beigbeder are to co-host the 12th prize-giving ceremony of the Geneva Watchmaking Grand Prix (GPHG), which will take place at the Grand Théâtre de Genève on November 15th. Famous watch industry blogger Grégory Pons will be supporting them on stage by presenting the various watches vying with each other in the competition. This 12th edition will give pride of place to the art of watchmaking, on which the GPHG Foundation wishes to confer the title of 12th Art, by focusing on its subtle crafts and its enduring values. 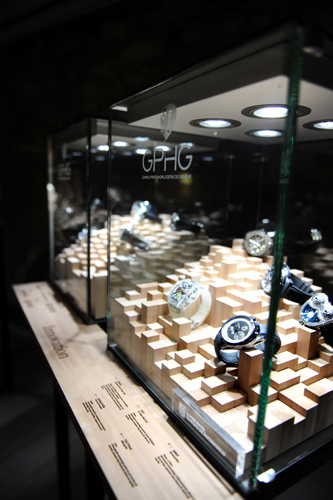 The ceremony, which is keenly followed by enthusiasts abroad, will be broadcast live in English for watch lovers the world over via the official GPHG website, http://www.gphg.org, as well as on http://worldtempus.com. For the very first time, Geneva will also be involved in a two-way broadcast with New York, where the live transmission of the GPGH ceremony will be part of an exclusive event organised at the giant Tourneau watch store on Madison Avenue. 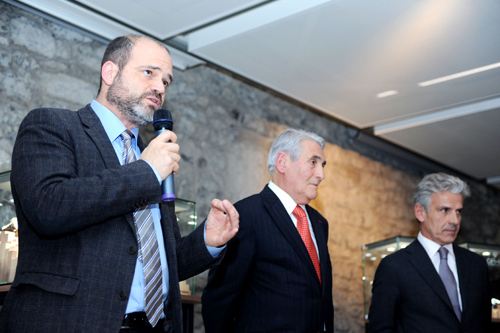 As a prelude to the prize-giving ceremony, around 350 privileged guests congregated at the Cité du Temps in Geneva to view the exhibition of the 70 watches pre-selected by the jury to compete in this 12th edition of the GPHG. This travelling exhibition, which has made stop-overs in Zurich, Hong Kong and Shanghai before being presented to the Geneva public from November 2nd to 8th in the Cité du Temps, represents one of the rare opportunities to see the finest contemporary timepieces assembled in one location. The scenography of the exhibition, created by three graduates of the Geneva University of Art and Design (HEAD), transforms the area surrounding Geneva into a watch presentation box. Three different mountain settings – Les Voirons, the Jura and the Salève – become three unexpected exhibition showcase areas. A pair of binoculars mounted in the centre invites visitors to enjoy a decidedly different, simultaneously all-embracing and yet intimate view of the watches on show – thereby transforming observers into intrepid horological explorers. Like each year, during the run-up to the prize-giving ceremony, members of the public are invited to vote for their favourite watch. At a few clicks of the mouse on http://www.gphg.org, or on-site at the Cité du Temps, internet users and visitors can vote to award the “Public Prize” and thereby take part in the prize draw to win a luxury watch. Broadcast live on the http://www.gphg.org website from 6.30 pm. After the ceremony, the three watches nominated in each category, as well as the winners of the “Aiguillle d’Or” Grand Prix and the Public Prize, will make a last stop in Moscow, where they will be on display at the Swiss Embassy. Please also note that a GPHG iPhone and iPad app presenting the watches taking part in the competition is available free of charge from the Apple Store.